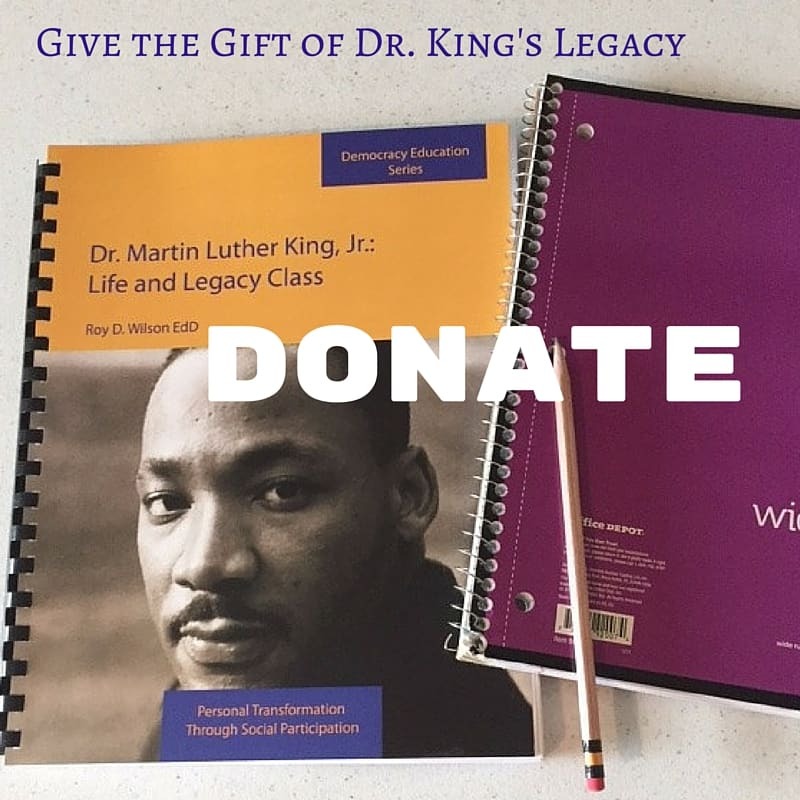 Donate today to the Institute for Community Leadership Dr. Martin Luther King, Jr. Life and Legacy Classes! The Institute for Community Leadership holds a five day session for students to change themselves to make a difference in the world. The Life and Legacy of Dr. King Classes offer nonviolence as a means to develop self-control. Through the Dr. King Life and Legacy Classes, students develop inner realm character and conduct required to live according to their own values and beliefs which strengthens self-confidence, motivation, and cultural integrity.